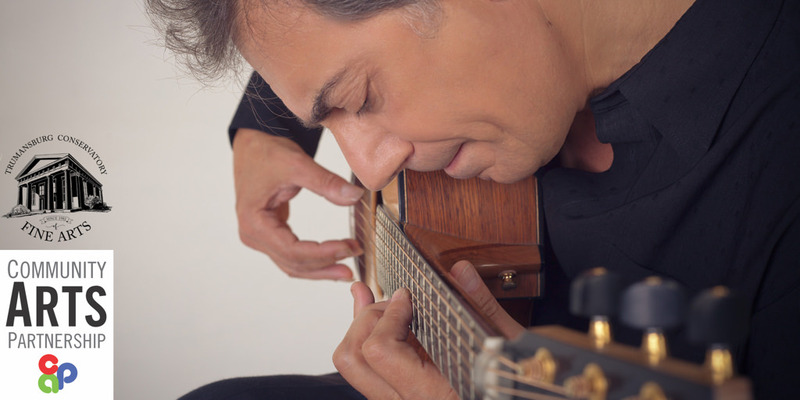 The Trumansburg Conservatory of Fine Arts (TCFA) is excited to welcome the renowned French-Algerian guitarist Pierre Bensusan to perform on Friday, April 7, 8:00pm. Bensusan is making a stop at TCFA on his 2017 United States Tour. Pierre’s fantastic live performances have been recognized by the Independent Music Award in the Live Performance Album category for his latest triple live album “Encore”. Pierre has won numerous awards, including the Rose d’Or at the Montreaux Festival for his very first album, recorded when he was just 17, and been named the “Best World Music Guitar Player” by the readers of Guitar Player magazine. This concert is being brought to you with support from the Community Arts Partnership and the TCFA Board.